Cardiff is a pleasant city by the sea in South Wales, in the west of the British Isles. It had been an important port for many decades, serving the British industrial machine of coal exporting, from mid-19th century right up to the end of 1960s. It is interesting to note that the southern part of Wales is quite famous for its excellent quality of coal, the gold of the Celtic soil. Greek sailors very experienced in all matters related to ships and sea transporting from the ancient times, came in support of this process of transporting the valuable material. By coming frequently to Cardiff and the other South Wales ports (especially Newport and Barry), they got to know the area well and they liked it. Thus, they decided to found their own business offices in these towns and they also established their family homes there. The first official meeting of Greeks in Cardiff had taken place on 18th December 1873. At that meeting the Greek seamen had decided to build a Greek Church, near the port, and dedicate it to Saint Nicholas, the Patron Saint of sailors. That meeting was organized by an Englishman, called Timothy Hatherly, who had been ordained an Orthodox Priest at Constantinople and had returned to his native land to serve the Greek Orthodox congregations. On 4th March 1877 Fr. Hatherly had started organizing another Greek Community in Bristol. A famous Greek journalist and historian, Vasos Tsimbidaros, in his book “Hellenes in England” (p. 218), refers to the Greek Community in Cardiff, where “there was a Greek Consulate before 1900, as many Greeks lived there and numerous Greek ships came into the port. They used to import cereals and they were loaded with coal which was exported to the Mediterranean and South America. After 1900, the comings and goings of the ships were so frequent, that many Greek sailors left the sea and remained in the ports in order to work in various business”, like hotels, cafes etc., that were serving mainly the seamen, both Greeks and others. It is worth noting that some of the greater Greek Shipping Companies had started their business from Cardiff and the other South Wales ports, or at least they had passed through there and had been busy there for a period of time. Among those belonging to the first category is the Kollakis family (one of the richest families in Europe today), and the most well known ones of the second category are the Embirikos and the Fafalios families and obviously Aristotle Onassis. In 1903 the Cardiffian Greeks come in contact with the Ecumenical Patriarchate. The Community was then recognized officially by a special grand letter, which is today kept at the offices of the Archdiocese of the Thyateira and Great Britain in London. The letter was brought to the Community by Fr. Ioannis Georgiades, the first Greek Priest appointed by the Patriarchate as the Parish Priest of St. Nicholas Church. The Community had no place of worship for their own needs up to the beginning of the 20th century. The old Cardiffian Greeks remember that the Community was actually using for its Holy Services the Norwegian Church, found near the port, as well as a small shed in the same area. In 1905, after many efforts and negotiations with the local authorities, the Community signed a lease agreement (lasting for 99 years) with the Marquis of Bute. The freehold was eventually purchased by the community in 1989. 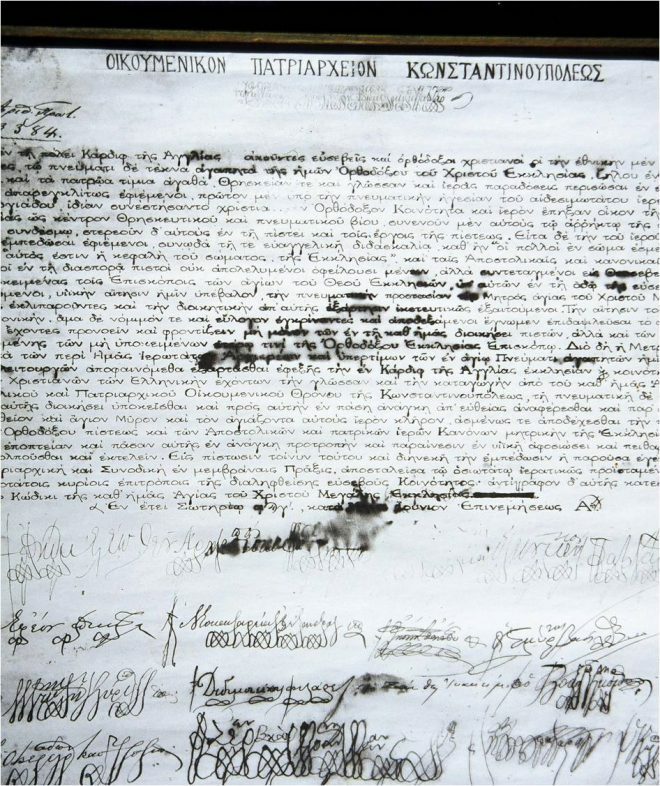 According to the initial agreement, the plot of land was given to the Greek Community in order to build a place of worship and another building, which was to house the Greek School on the ground floor and the Priest’s house on the first floor. That plan was eventually realized. Saint Nicholas’ Church building was erected in 1906. 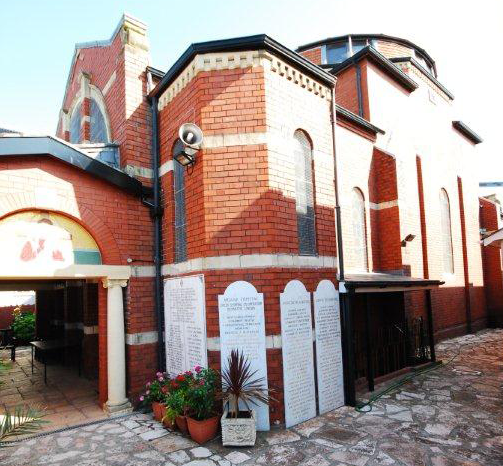 A special plaque placed on the outside front wall reads that the building of the Church was realized with financial contributions of “Greek Orthodox Ship-owners, Ship-captains and sailors living in Cardiff, Barry and Newport”. The Community building was erected in about 1915 and the inauguration ceremony took place on 25th March 1915. The person who unveiled the special plaque, which bears his name, was Antonios Memferratos, who was a Greek diplomat, serving at the time as Consul of Greece in Cardiff. 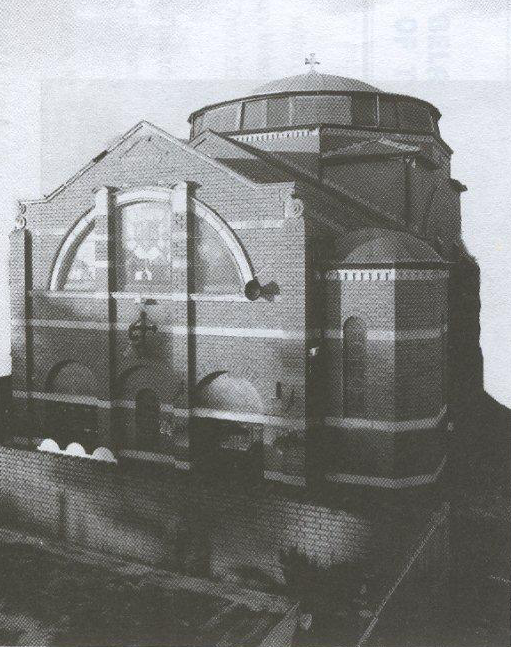 The official opening of St. Nicholas Church took place on 24th April 1919. The hierarch who presided over the special ceremony was Cyrill III Archbishop of Cyprus at the time. Fr. Gennadios Themelis was the Parish Priest. He had served the Greek Community in Cardiff from 1917 up to 1928 and he is the only Greek Orthodox Priest who died and was buried in Cardiff. The Greek Community in Cardiff continued its development and presented a living witness of real Eastern Orthodox spirit and Hellenic civilization to the hospitable country of the United Kingdom and in Wales in particular. During World War II many Greek ships had been blocked and had to stay in the port of Cardiff. As a result of that, the Greek population in Cardiff was doubled. It is also known that in the first half of the 20th century the Greek Government had appointed a Consul and a port-officer to look after mainly the Greek ships and their crews. Ship movement at that time was quite substantial. It is said that more than 200 Greek ships were actually entering the port of Cardiff every year. This had stopped at about the end of 1960s, as the exporting of coal had progressively declined. During the decade 1955-1965 there was a large movement of Greeks leaving both Greece and Cyprus going to find other places to work and to establish themselves, as Greece had many financial problems at the time and Cyprus various social and political issues to resolve. This new wave of migration had renewed the declining shipping population of Greeks in South Wales. 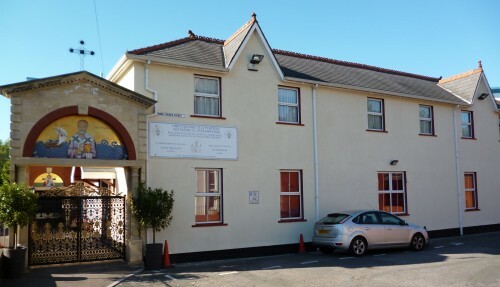 In 1964 three Greek Societies were established in Cardiff: The Greek Ladies Association in Cardiff and the Districts (closely associated with the Greek Church), which in 1971 had become the “Life Giving Source” Auxiliary Sisterhood of Ladies; The Greek-Cypriot Brotherhood in Wales; and The “St. Spyridon” Association of Corfiot and All-Greek Roman Catholics (its members coming from the Roman Catholic population of Corfu although their historical origin is Malta). From the beginning of 1980s many young Greek students have been coming in order to study at the famous University of Wales in Cardiff, as well as in other Higher Educational Institutions in nearby cities (Newport, Pontypridd, Swansea, Lampeter, etc.). This movement renews once again the local Greek population with a different kind of expats. As of today the city of Cardiff has three Universities: Cardiff University, University of South Wales and Cardiff Metropolitan University. The Priests who had served at St. Nicholas Church during the last decades were as follows: Very Rev Protopresbyter Fr. Spyridon Dessyllas (1958-1987), Rev Fr. Anastasios D. Salapatas (1987-1993) and Very Rev Archimandrite Fr. Amphilochios Andronikakis (1993-1998), who was elected on 4th October 2005 Metropolitan of Kissamos and Selinos in Crete. The present Priest in Charge is Very Rev Archimandrite Iakovos Savva (2000-today). 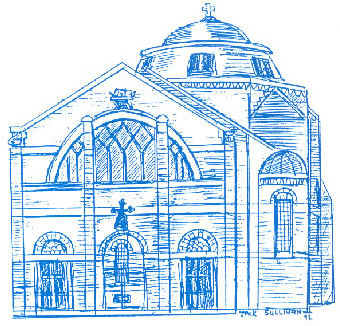 With regard to the current population, the Greek Community of St. Nicholas numbers about 2000 souls, the Greek students in the South Wales area should be about 3000, while the Roman Catholic Corfiots are estimated at around 500 people. 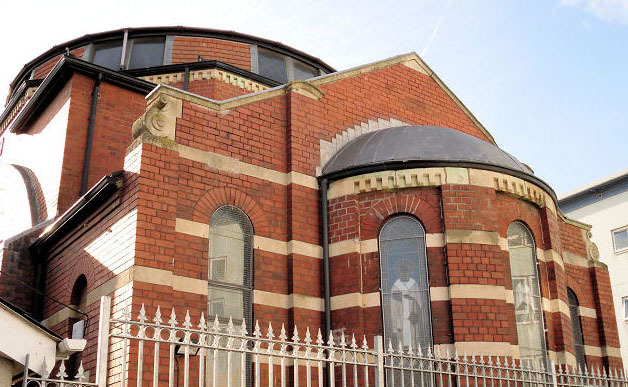 The two most important elements that bring all Greeks together in Cardiff and South Wales are St. Nicholas Church and the Hellenic School in South Wales. These are the two most dynamic elements of Orthodox faith and Greek culture that the Greeks in the area trying hard to preserve and to develop even further. 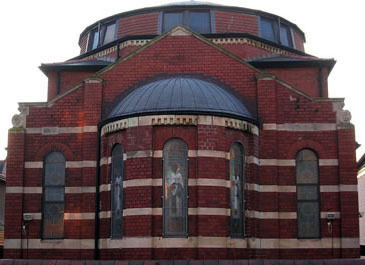 The year 2006 was the centenary year for the Greek Church in Cardiff. The Community had arranged a number of festivities and celebrations to remind its members and others of the important anniversary. On Saturday 8th July and Sunday 9th 2006 there was various Holy Services celebrated at Saint Nicholas Church with His Eminence Archbishop Gregorios of Thyateira and Great Britain presiding. 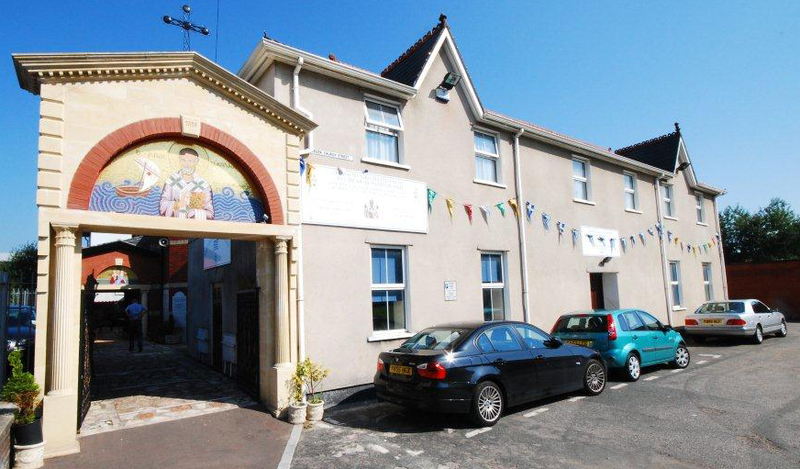 On both days lunch was offered by the Community at St. Peter’s Hall, Cardiff to all those who participated. The Choir of the Archdiocese’s School of Byzantine Music, the Greek music band “Epomenoi” and the Greek Dancing group “Lyra”, all coming from London, took part in the celebrations. The First Minister of Wales Rhodri Morgan, speaking at the celebrations of 9th July, paid tribute to the Greek Community’s contribution to Welsh life during a century and a half of Greek immigration into Wales. He said: “We owe Greek civilization so much in modern Wales. Democracy itself has its origins in Greece – our seven years old National Assembly giving us autonomy over the domestic agenda devolved to us is based on the democratic principles first espoused in Athens more than two thousand years ago. The Greek Orthodox Church has made for centuries a huge contribution to Christianity”. He concluded by praising the stunning beauty of St. Nicholas Greek Church as one of Wales least known architectural treasures, which should be on the tourist trail of all who love church architecture. 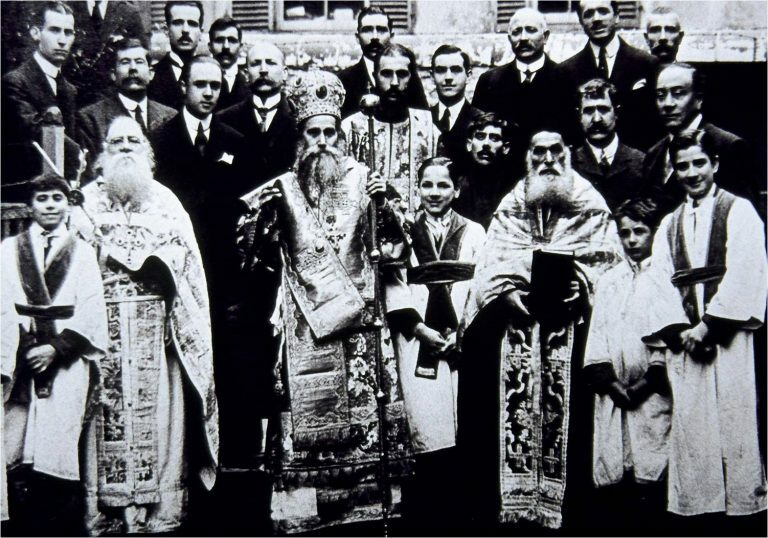 The celebrations for the centenary had reached their climax later on in the same year, when another Hierarchical Divine Liturgy was celebrated, on Sunday 5th November 2006, with many bishops and other clergy as well as many lay Christians taking part in it. On the same evening a formal dinner was offered at the City Hall, Cardiff, which was attended by representatives of the Greek Embassy in London, the Cyprus High Commission in London, local British MPs and others. On July 1st 2012 the parish opened a new community hall. The hall itself is in the same place as the old one, but completely new and a lot bigger. The project started in February 2012 and was officially opened in July 2012. The project was quite big and expensive. Money was required to be raised to fund the project, and this was done internally, by members of the parish. The new hall now sits double the amount of people, and will not only used as a community hall, but also for fund raising. Pictures of the new hall can be seen under the Gallery link in the navigation bar.